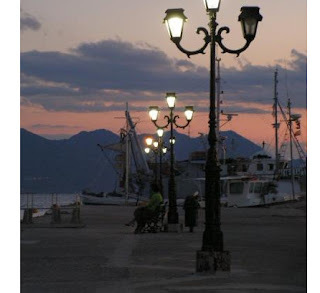 Aegina Island - when the end of the line is in a different place than planned, Escapade on Aegina was a trip journey. A sort of second level dream for Inception movie fans.At the time when Christopher Nolan had no idea how many jokes have to generate film, I was was in a hammock on a terrace Leptokaria, Greece. The place in question is somewhere at the foot of Olympus, which explains why the daily rains were on the terrace, hammock, and not on the beach, on the towel. Then and there I was offered a trip to Athens spontaneous. - Take the train, walk, visit, then take the train back. - Stay asaaa .... that train? Ala at 1 am? Syntagma Square, the Acropolis, Plaka, Piraeus ... I pulled two of my comrade road to get here, the oldest port in this part of the world. Or port used continuously for over 3000 years? I do not know, but sat quietly, crouching on the horizon, watching the boats, sea, seagulls, the immensity of Athens, expecting to see wooden keys vessels rage in 1500. It is normal to have such realistic expectations when you're not up to date with sleep. Something of this proposal - that sounds terribly busy, reminds me of a night in Istanbul, plane tickets today and tomorrow but accommodation (and money Accommodation) IOC. But that's another story. So, one night on the train, go about 400 km, visited - starting at 5 am! - One of the largest cities and back after another night spent on the train. Zombie mood. If after the first night I had to scream at anyone, would be a miracle. The train was full. Modern car compartments as (or without compartments, depending on perspective) antisomn chairs and bright ceiling. I fell asleep but it was the smoothest I've experienced sleep. Good luck with the Athens metro: up to reach the desired station, I took another nap, chin stuck in the chest, to the amusement of others. - Ha? What ... cruise? - We're on an island! - Does it matter? Look, go there, take tickets and choose one short, until the closest islands. - Let the train, like that's at midnight. We return by then! I feel like I was on a trip with my mother, although the mother was left behind on the beach. Once on the island I realized that I have a problem: I do not know where I am. Yes, yes, Greek island, an hour away by speed boat from Athens. But which ones, there are a lot? No companions did not know. What was that map of Greece? What island was closest to Athens? Something with "S"? No, not that. That "S" is long and it's right. Too bad these are not standard Hollywood sign in the harbor - all ignorant to know where they are. So ... you know where you are well! do not know, Iara well - cravings, have restaurants, we have beaches, make yourself comfortable and feel that you have booked the resort it by the agency. - Later. Come to the beach until the sun disappears. The atmosphere on the island was a bit strange. Everything seemed calm, quiet, almost astonished. But that oppressive silence, but that silence comes at a time of rest. Have been to blame the end of the season? Inserting? I do not know. Many homes had a colonial air: windows straight, tall shutters drawn. Cubic building simple, low (maximum three floors), bohemian atmosphere. These are things that more closely resemble the U.S. central world, as we know from the movies, not the Mediterranean. On the way to the first beach on the left, go through a tavern - restaurant inside, outside terrace on the pier - and give a painted map. Ta-daa! Click! "Aegina"? We are on Aegina? That reads "Aegina"? Legends like the Olympus Aegina was one of the many lovers of Zeus, who came to be transofrmata rock and thrown in the sea not to be found and played his father. And we are now on the rock? Beach we got was small, insignificant. For those accustomed to the beach in Vama, the Reed, and the beach in Mamaia, from Lido, this was a poor patch of sand. Seeing that has musterii was found uncle who put us chairs and we serve a frappe. Frappe on the beach at sunset, on an island whose name I'm not sure - one of the small pleasures of life. Looking into the distance, where see another nameless island. There were actually several. It was so close that you had the impression that you are on the edge of a lake greater. The passage between the two islands - ours and theirs ... - was crossed by all sorts of vessels, ships, boats and I was wondering if it was every day, every hour, if, in the crowd, it would be possible to reach beyond without being forced to put it on St. Peter to look for names in the database-arrived-no-to-be-called. - We eat and we something? - Eat, eat, says it shrivel after a quick bath in the sea. We ate on a typical terrace: pontoon, wooden painted blue tablecloth in white patreatele abastru. Nationalism that is very aesthetic and pleasing to the eye. Tricolor colors all our fences do not work well, but Greek duo color is a dream! Blue calm. I do not know what I ate. Tzatzichi not. Otherwise. Good, but not memorable. Memorable was the sunset on the quay at the port. And this brief and spontaneous visit the island. Otherwise, I slept on the boat, on the subway and train. And I turned into a rainy resort to other large bank. Two days later the trip was like it was not. Aegina is an island that has a diameter of about 5km. Passionate about jogging? Here you go, Aegina is your new playground. In 1828 he was briefly the capital of Greece! Island's economy is based on tourism and culture pistachios. It is at a distance of 20 km from Piraeus, so you get faster. The ticket costs around 14 euros per person. Take "flying dolphin" (which will tell hydrofilul above). Being so close to Athens, is visited by many Athenians who seek a bit of tranquility, of tourists who visit the metropolis to combine sunbathing. But there are many locals (of the 11,000) who commute daily to the capital. Nikos Kazantzakis Memorial House, in which was written the novel "Zorba the Greek"
And other things / places less worthy of guides, but waiting to be discovered in season.